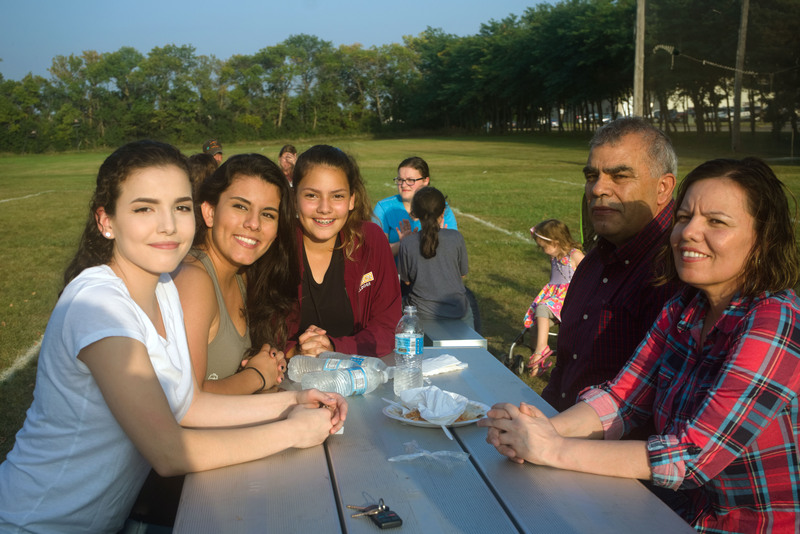 On Friday, Sept 14, the Madison community came together to support the family of Rigoberto Aguirre in his battle with melanoma. 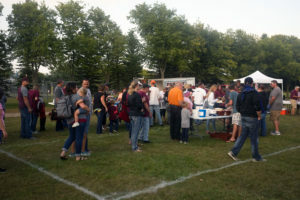 Students and families from the Madison community gathered for a Taco Tailgate at Trojan Field before MHS’s homecoming game. Whether close friends of the Aguirre family or just regulars at El Vaquero, every attendee had a good reason to be there. 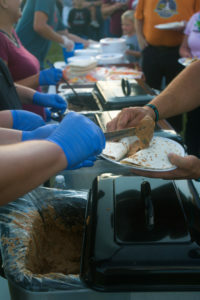 Ted Faszer, one of the instigators of the fundraiser, said, “we’ve eaten at [El Vaquero] almost the whole time it’s been open, so we’ve gotten to know the family pretty well and have gotten to love them and appreciate them”. Many members of the Chamber of Commerce felt the same way, so when they heard about Rigoberto’s battle, they organized the event. Volunteers soon poured in; more people were willing to help than were needed. Even DSU got involved as the men’s basketball team was in charge of clean up after the fundraiser. Other DSU students, faculty, and staff also attended the event. Mary Francis, the Reference and Instruction Librarian at the Karl E. Mundt Library on the DSU campus, came to enjoy great food and show support for the Aguirre family. She recalled, “[El Vaquero] was our ‘one restaurant’ in town…when we heard it was closing, we decided we’d come out [to the fundraiser]”. She appreciated the culinary variety that El Vaquero brought to the city of Madison. The Aguirre family was overwhelmed by the turnout. Rigoberto acknowledged that he was “happy and content” with the event. He has appreciated the Madison community since the day he and his family moved to town, and this fundraiser proved the community’s devotion to taking care of its own. He expressed his thanks to everyone for coming out and supporting him. If you missed the fundraiser, but still want to give, the GoFundMe page can be found at this link. The page has already raised over $7000 for Rigoberto.